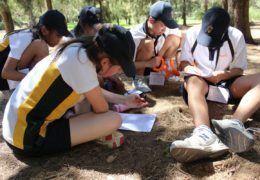 This term eleven Year 7 students participated in a gifted and talented camp called ‘Cosmic Cluster Camp’. 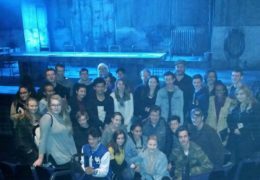 This camp involved approximately 60 students from eight different schools across South Australia. 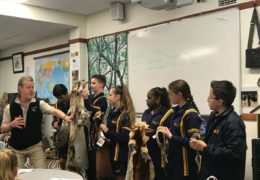 This was a fantastic opportunity for students from Year 6, 7 and 8 to be involved in an intensive extension programme over a two and a half day period. 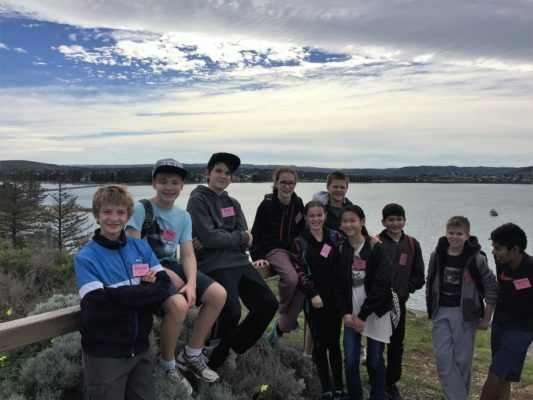 Aside from the workshops, students also participated in a hike around Granite Island and two fun activities in a ‘Beyond Limits’ Program. The first activity was a ‘treasure hunt’, were equipped with head torches, students became treasure hunters, by entering the basement of the historic Adare House on their hands and knees in search of missing treasure. The second activity was the ‘Flying Kiwi’, where students were pulled up via a rope by their peers, high into the air and swung around in a harness.